We help Australia's leading companies launch new brands & products using our proprietary online marketing and sales system. 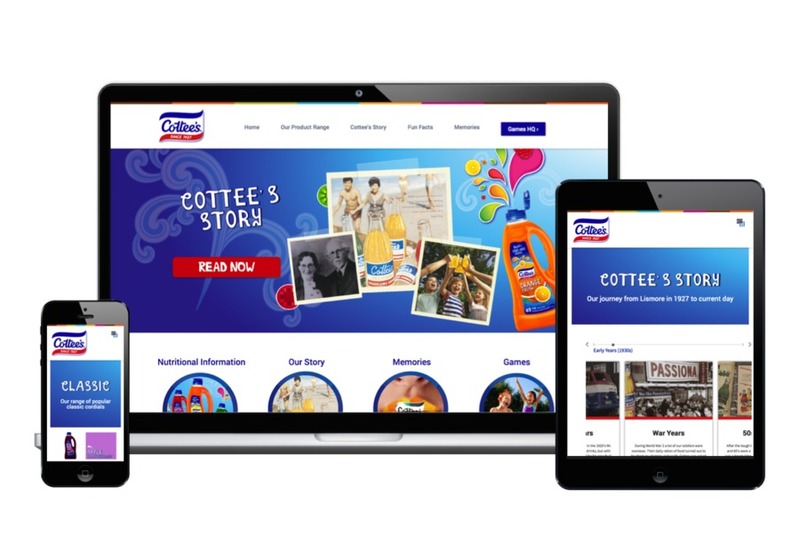 We recently worked with Schweppes Australia to relaunch Cottee's online with a fully responsive, modern website. About Client: Cottee's is Australia's #1 selling cordial drink with over 1 billion cups consumed a year and 80,000+ fans on Facebook. Problem: Cottee's old site was outdated and built in flash, which meant the site looked poor, was hard to use and had many browser/device access problems. Their existing site also struggled to communicate vital product info, drive the brand's core message and showcase the wonderful near 100 year history of the company. It also struggled to perform its role as the center of Cottee's online world. Solution: To tackle the access/tech related issues, we rebuilt their site from scratch on Wordpress and made sure it was responsive and accessible on all devices/browsers. To achieve a look that matched the modern day branding we delved deeply into existing materials and reinvented it online. Whilst doing all of this we constantly looked at functionality, as the site had to be super easy for visitors to use and allow them to access the information they wanted instantly. We also looked at how to integrate Cottee's social media worlds of more than 80,000+ fans, and achieved this with live feeds and multiple tie ins to their profiles/games etc. Finally, we created a content strategy and paired this with extensive SEO work.